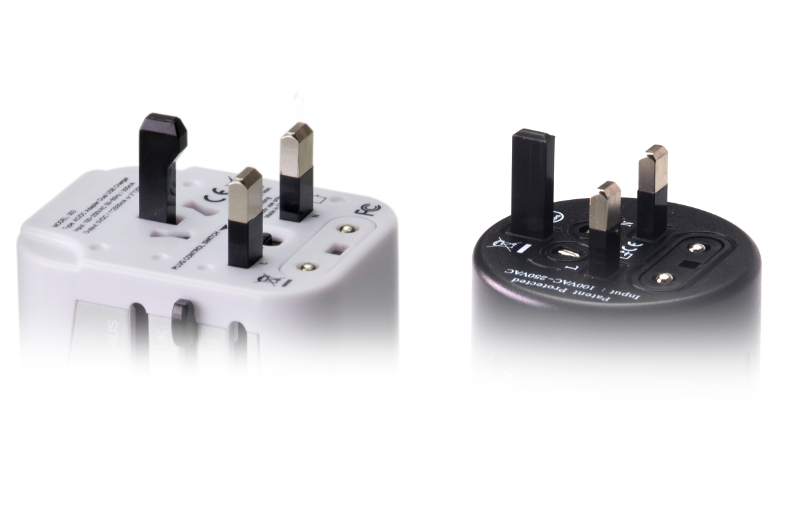 G&BL is proud to present a couple of really smart travel adapters that fit different electrical outlets around the world. 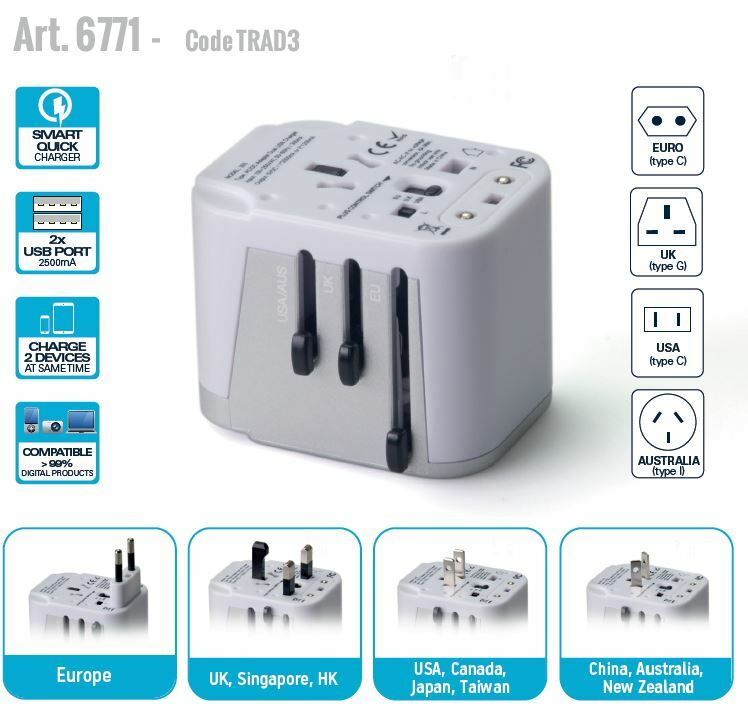 For world travelers, this is the perfect kit to ensure power connectivity in most countries you may travel to. 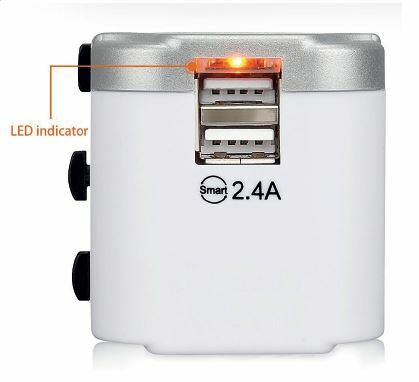 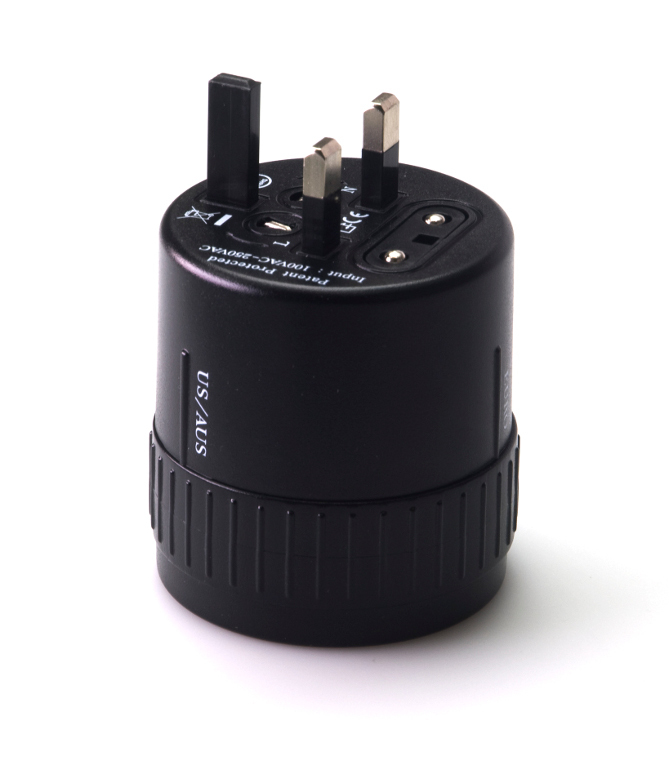 Compact and powerful world adapter plug allows simultaneous use of the AC power socket and dual USB ports. 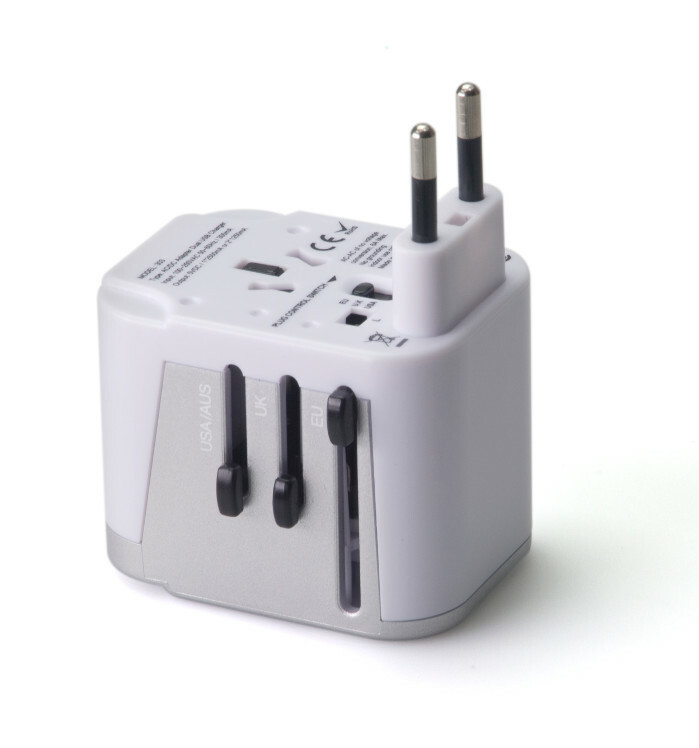 G&BL Travel adapters are a compact and user-friendly solution, integrating with multiple plugs and outlet to connect your portable devices while traveling around the world. 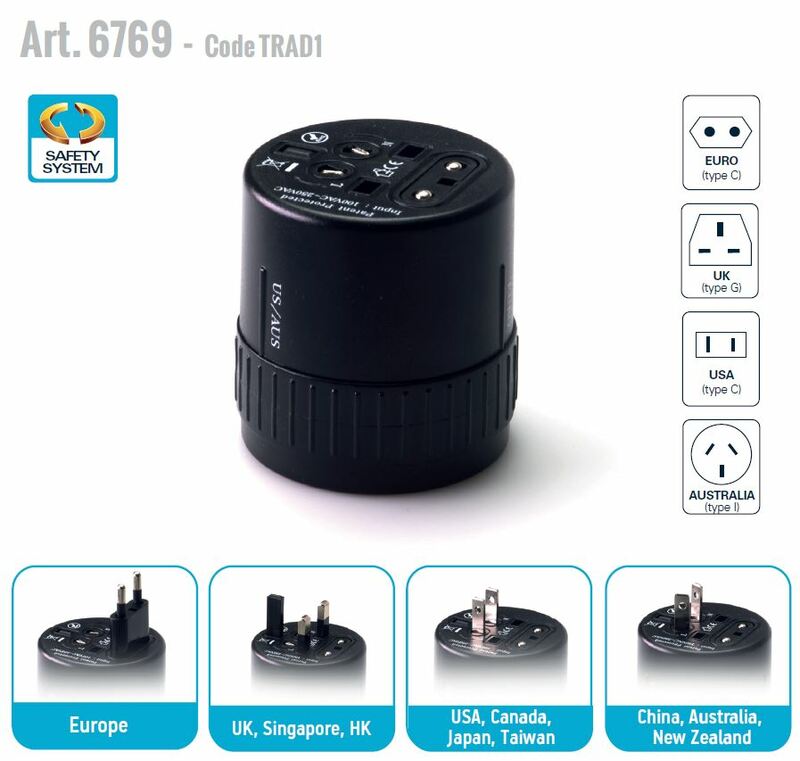 Wherever you are, these powerful adapter bring you a practical utility and never end to power connectivity.